GUKURAHUNDI clean up of Matebeleland leaders: after blocking coronation of Ndebele king, removal of ex VP Mphoko now VP Mohadi as Zanu pf destroy Matebeleland….Interesting! President Mnangagwa’s nephew Norton Member of Parliament Temba Mliswa has threatened to expose Vice President Kembo Mohadi over corruption scandals. He fiurther called for the firing of the Vice Presiddnt highlighting that the corruption happening in Matabeleland is unprecedented. Mliswa revealed this while celebrating the disbandment of the Anti-Corruption Commission after they sent in their resignation letters on Thursday. 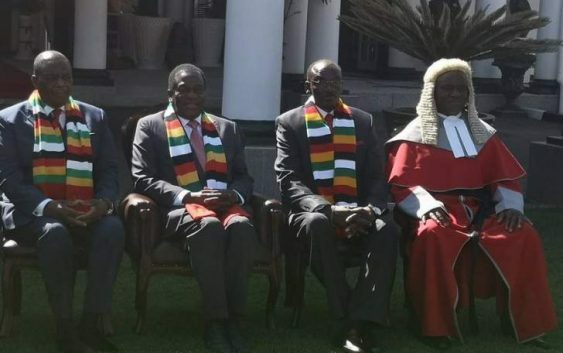 The Anti-Corruption Commissioners led by Dr. Whambira resignd enmasse on Thursday after reports that Voice President Constantino Guvheya Chiwenga accused them of factionalism and being too aligned to [President Mnangagwa. Mohadi has previously being linked to a string of cases involved illegal takeover of farms, torture and murder. In 2016 when he was security minister Kembo Mohadi and another businessman called John Moyo lost a case in which they illegally removed one Reginald Dawson from being the Nerry Investments director. Mohadi and Moyo on December 13, 2011 purportedly convened an annual general meeting of Nerry Investments in Beitbridge, chaired by Mohadi, where they resolved that Dawson be removed as a director in his absence. Mohadi and Moyo purportedly took over control of the company, triggering a series of court actions, as Dawson challenged the move.